Back in March, British folk-rock band Mumford & Sons unveiled incredible music video for “Beloved” directed by Charlotte Regan. The song is included on their fourth studio album “Delta”, which was released last November. 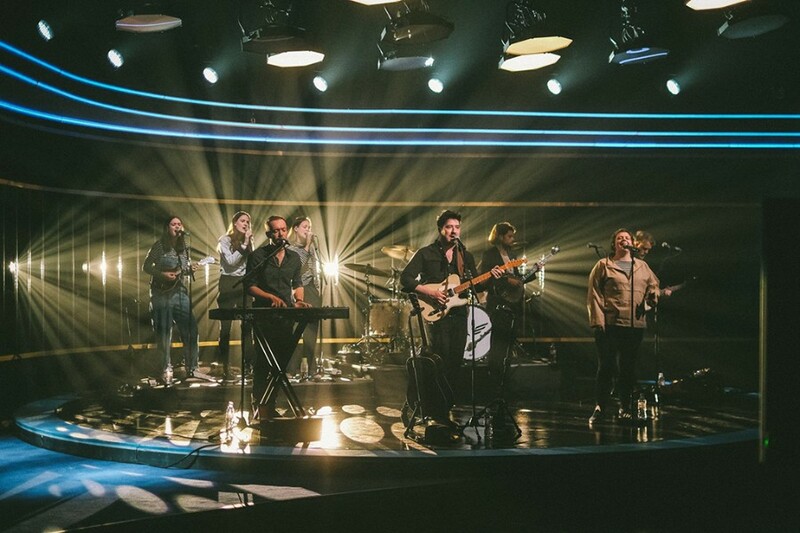 The band appeared on The Jonathan Ross Show, where they performed the song along with Brooklyn-based Jazz singer YEBBA. The track was written byTed Dwane, Winston Marshall, Marcus Mumford and Ben Lovett. The band said of the song, "[Something] about “Beloved” that Paul (Paul Epworth) picked up on out of the gate was its rhythmic identity. He’s a very rhythmic guy. He almost hears songs through rhythm first. He doesn’t pay attention to the lyrics and melody in the first instance. I think that’s where you get a bit more of the danceability and the bounce throughout the album, but when it came to “Beloved”, he heard it in a way that none of the four of us had heard it, and he got us to play it back to him as he was gesticulating in the studio, and trying to enunciate the rhythm ideas. All of a sudden it was like, yeah, this is cool. This is better."